All apartments are of 35m2-45m2 and can host from 2-6 people. They have got traditional wooden carved furniture, a dining area, kitcenette, fridge, t. v., a/c, wifi internet, a double bed and a single sofa -bed. 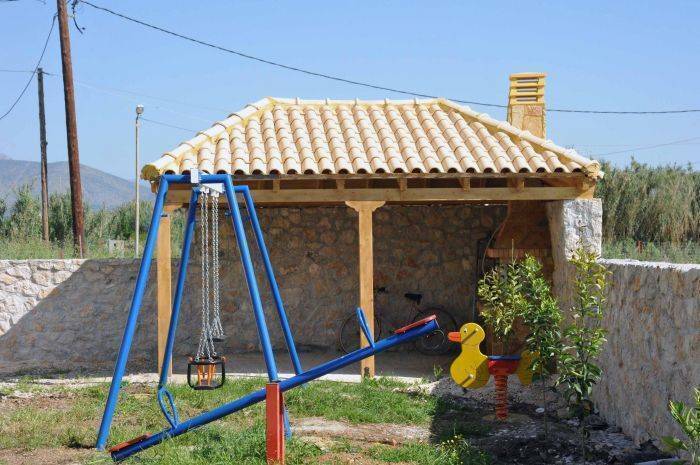 There is free parking area in the premises, children's play area and barbeque facilities at the guests' disposal. All apartments feature a cosy fireplace, heating, and are ideal for honeymooners or couples in wintertime. 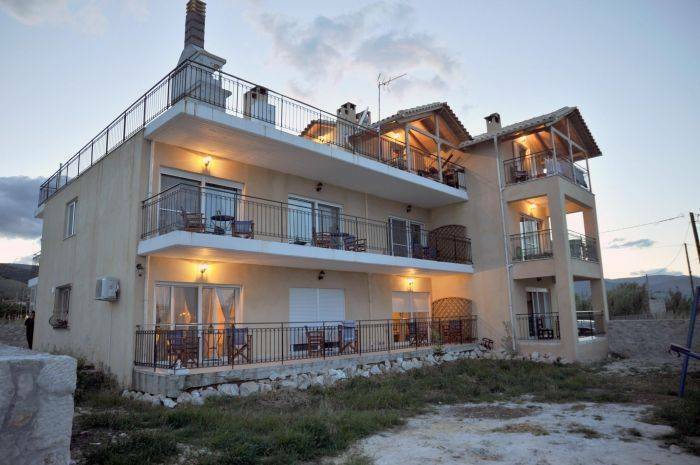 On the other hand all apartments have big balconies overlooking the Argolikos Gulf and the cstle of Palamidi. O Xenonas ton Mylon is at only 200m. distance from the beach which makes it an ideal destination for summer holidays too. 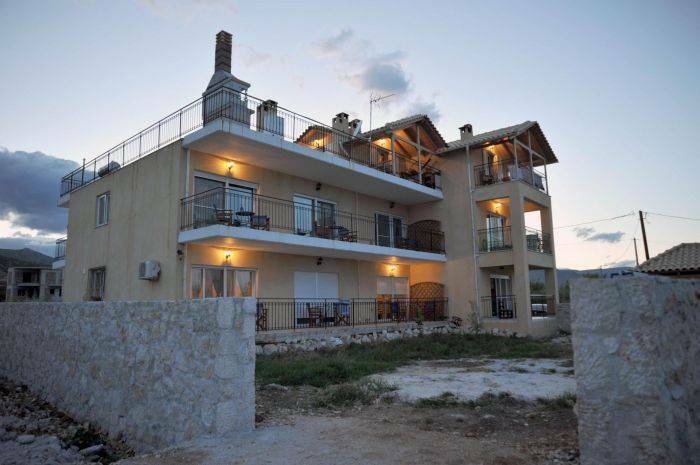 O Xenonas ton Mylon is at a great location, in the village of Myloi, a traditional Greek seaside village, 5 minutes away from Nafplion, 15 minutes away from both Ancient Epidaurus and Mycenae. O Xenonas ton Mylon is surrounded by orange & eucalyptus . Myloi is only 5 minutes away from Nafplion and has got tavernas, cafes, grocery, supermarket, bakery, post office, pharmacy. Nafplion Archaeological Museum 7 km. 8 euros per person for continental breakfast,20 euros for extra bed. 30 per cent in advance.total refund in case of non show.10 per cent if cancelled lessthan 21 days earlier. O Xenonas ton Mylon is just at the entrance of the village of Myloi, just after the Town Hall (DIMARHIO), in the first road on your left when entering the village from the city of Argos. When coming to Myloi from Nafplion, at the end of the village directing to Argos, take the last road on your right just before the Town Hall. bus connection to Argos, Nafplion, Athens. The bus stop is at a 50m. distance. Nearest airport: Eleftherios Venizelos airport in Athens,150 km.